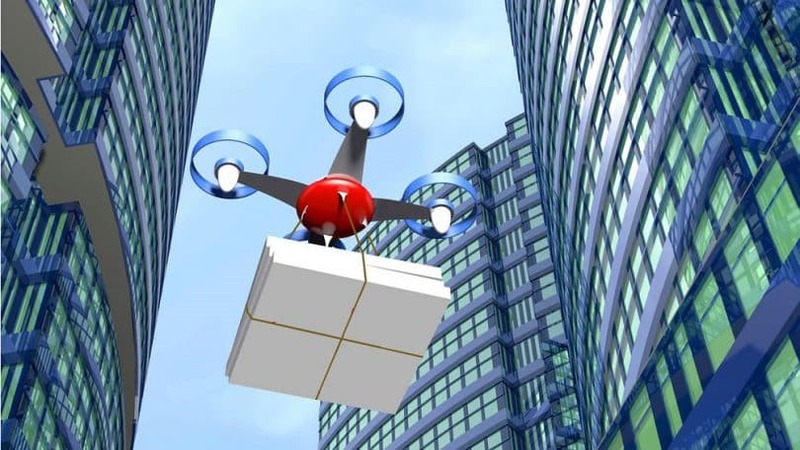 Do you know what delivery drones are? If not, this will be the topic of today’s article so continue reading to find out more. By now, you should have realized that the drones are here to stay, and in a not so distant future, even become a part of our everyday life routine. 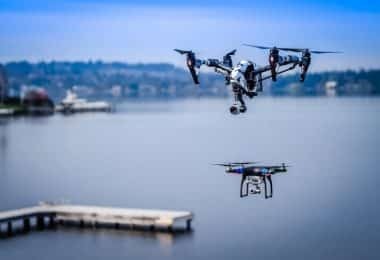 Ever since they showed up, drones were on a constantly evolving path and now, the models come with much more advanced features that allow them to perform tasks we would never have imagined them doing some 10 years ago. Not to mention that the price of owning one is not as high as it was the first time they appeared on the market. At this point, drones (by drones we mean the hobby multirotor models, not the military ones, but if you want to find out more about the military drones, we have the perfect article for you) are still mostly used for having fun during the weekend, or for commercial purposes such as making amazing photos and footage for commercials or movies. 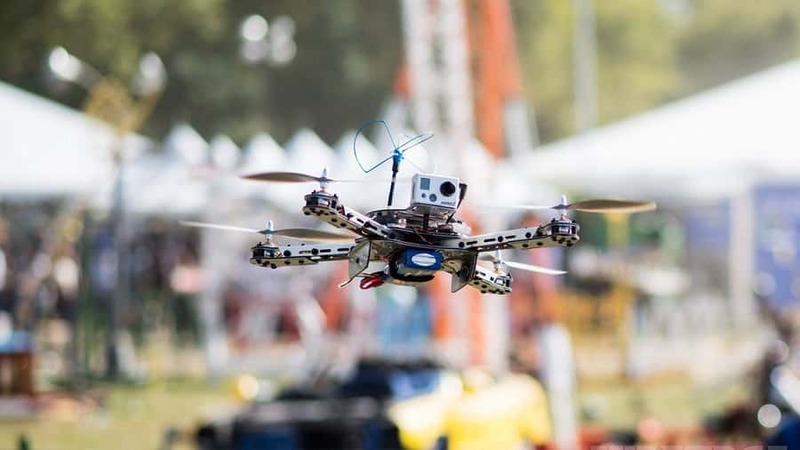 Also, the drone racing has become a very popular sport in the last couple of years, and you can get more familiar with this topic in our article about drone racing. But, some companies have a different plan for drones. Imagine ordering something from Amazon, and at the time when you are expecting the delivery, you get a message that tells you to get out in front of your house to pick up your package. 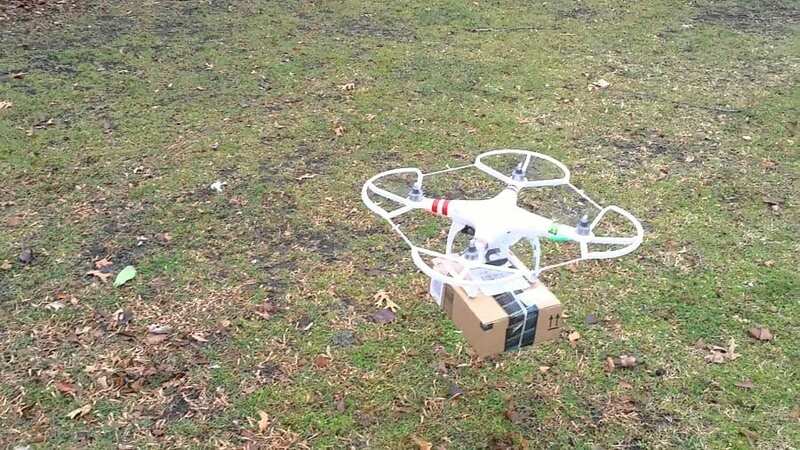 Instead of the delivery guy, you see a drone hovering above your lawn, with your package in its landing gear! How great would that be? Well, even though there are some law issues that are still keeping this idea from realization, the fact is that it will become a reality probably in the next couple of years. Who Will Be The Pioneers in Drone Delivery Business? Now, let us take a look at some of the companies that are really serious about delivering their products with a fleet of drones. 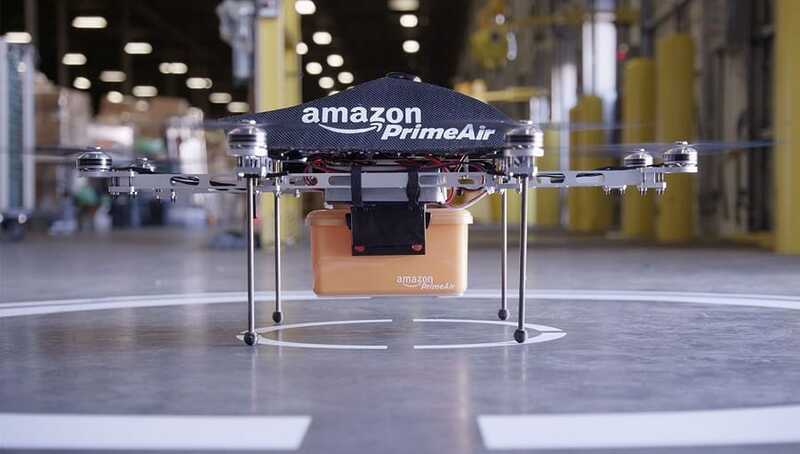 With their new drone delivery system, the Amazon’s goal is to use drones for delivering packages to their customers in half an hour or less with. They claim that their drones are capable of traveling within a 10-mile radius, and carrying packages that are weighing up to 5 pounds. Even though this project is still in the developing stage, Amazon is hoping that they will start this form of delivery sometime in the near future. Thanks to “The Land Downunder’s” relatively free drone regulations, the Flirtey start-up is quite serious about delivering anything, at any time, to any place, with the use of drones. As with Amazon, the Australian company’s drone delivery project is still in the developing stages, but their determination to use this technology, and their strong branding, leaves us believing that they will be one of the leaders in this growing industry. 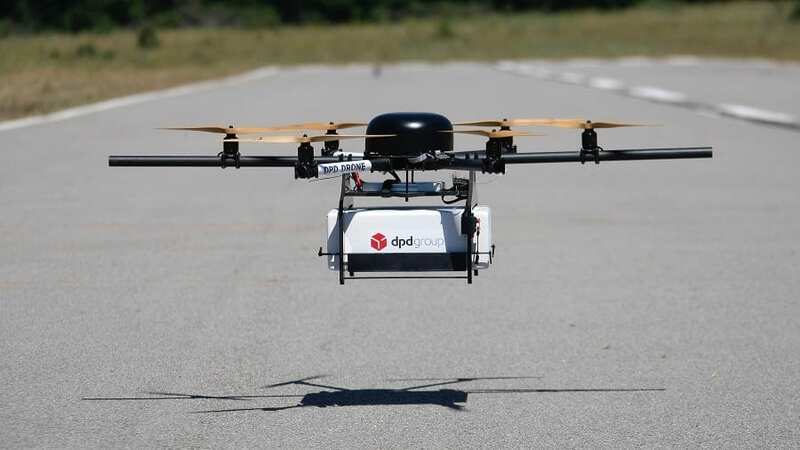 The globally famous Domino’s Pizza, more precisely their UK branch, has revealed that they are thinking about the idea of using drones for the delivery of their pizzas. 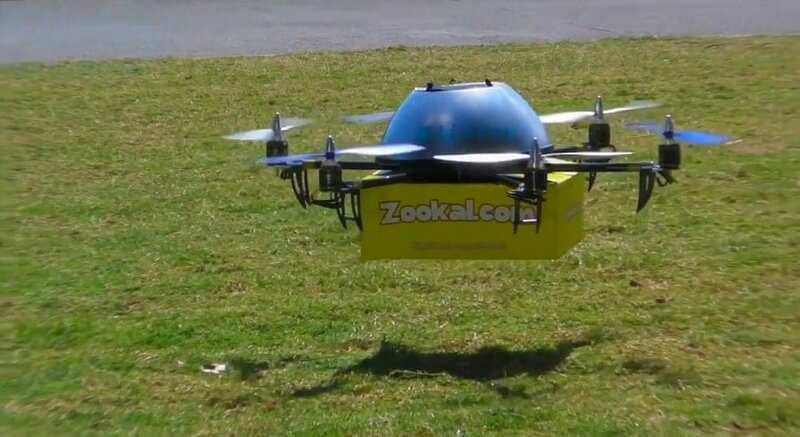 They have released the video of their “DomiCopter” dropping of pizzas to customer’s homes, which pretty much became viral in just a few hours after release. 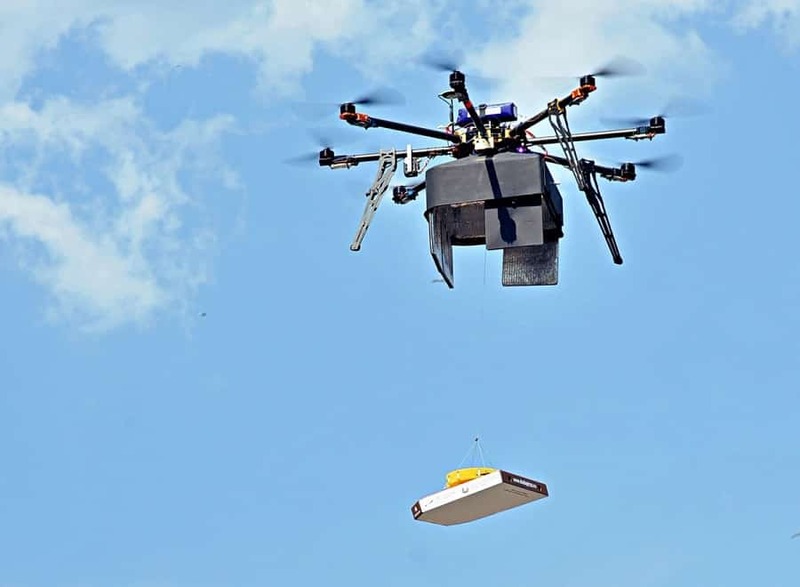 No official statement has been released by Domino’s yet, but a notable number of other food companies are considering having a piece of this automated “flying cake”. 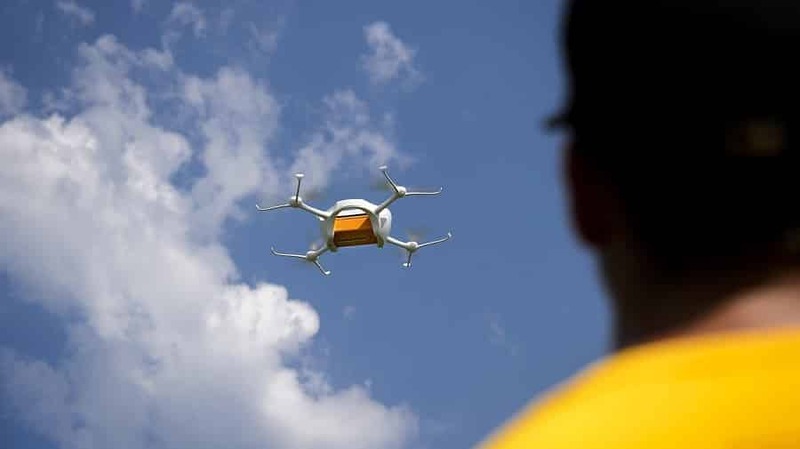 The famous package delivery service is also considering implementing the drone technology for the modernization of their services. Their plan is to turn their delivery trucks into a vehicle that will serve as a drone base, with a take-off and landing zone on the roof of the vehicle. 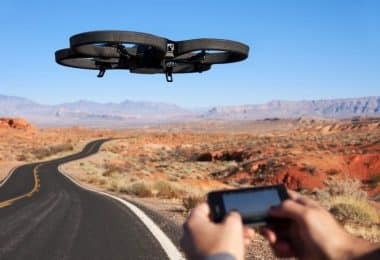 They will not use the drones for the entire run, but instead, use them when the driver is in the area that is close to the customer, and to avoid any further traffic hold-ups and delays. This will speed up the process and also cut down on fuel bills. Matternet, the logistics start-up is considering the idea of using drone fleets to deliver medicine and medical supplies to underdeveloped and remote areas. Even though this project is still in the developing stages, the Matternet network has the potential to change the way people look at this line of work. Now, before we go down the article to the part where we will explain which RTF models are suitable for the drone delivery business, we have to mention that the companies we mentioned above are planning on using their own built models. Why? Well, if you start from scratch and start building your own drone, you will have plenty of room to modify it the way you want and tailor it to fit your needs perfectly. However, these companies have huge budgets and large teams of drone building engineers that were probably hired to make perfect models. So, if you don’t have such a team behind you, and your budget is as not as high as theirs, what choice do you have for starting your own drone delivery business? Well, you could go down the DIY path and make a drone on your own by ordering the right parts, but that takes too much time. 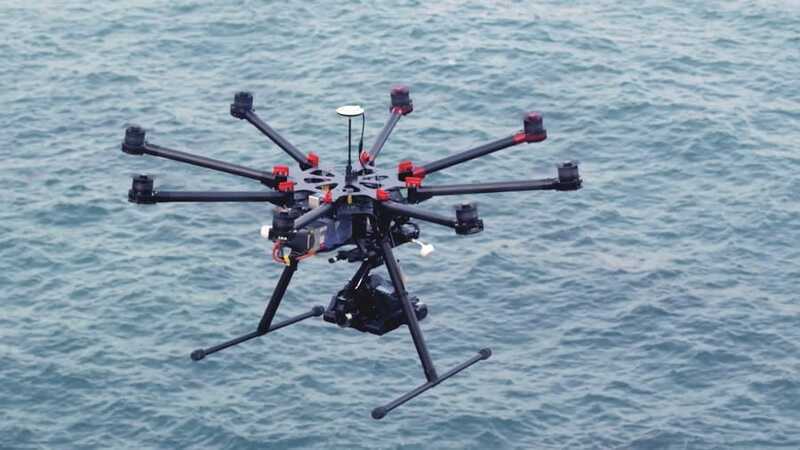 The answer is Ready to Fly drones. But, unlike with commercial models that come in a wide palette, drones that would be capable of lifting loads heavier than an action cam, come in much smaller numbers. This is mainly a photography drone, but the ability to carry heavy loads makes this model an excellent delivery drone as well. Instead of getting too technical, we will simply name the characteristics of the S1000+ that are important in this line of work. Having a strong and stable drone is essential for photography, but the delivery also benefits from this as no one would love to break the products during the transport and the drone has to be strong to be able to carry heavier cargo. The 7 kg cargo capacity is actually ideal for companies like Amazon, as most of the products are under this limit. This means that the drone would even be capable of taking more than just one product per run and make several deliveries during the same run. The flight time is actually pretty enough for delivering a product in a 5-7 miles radius. If this sounds like a model that will be suitable for your business and you want to find out more about it, we suggest that you check out our more detailed review of the DJI Spreading Wings S1000+. Again, another great photography drone that is quite capable of performing delivery tasks as well. Here are its main characteristics important for this job. Like we explained above, drone needs to be strong and stable for a company to be secure enough to trust it to deliver the product to the customer without any incident along the way. Not capable of carrying up to 7 kg like the previous model, but the 5 kg limit is more than enough for most of the delivery tasks. Now, since this model has reduced vibrations, it could be also used for carrying fragile products, as you can be sure that it won’t break and fall apart during the flight. 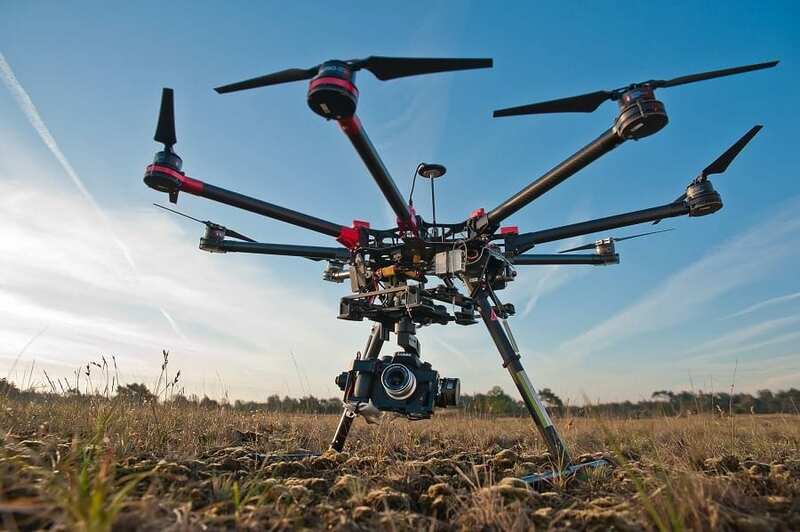 You can find out much more on this model by reading our DJI S900 review. The famous Phantom 4 is probably the best filming drone on the market at the moment, but the features that it offers are great even for some other opportunities. If you want to find out all there is about this model, check out our Phantom 4 review. OK, it might not have such a high payload limit like the previous one, but with features like the ones named below, you can pretty much send it to deliver 4 coffees on its own without having to control it in the meantime. Extended Flight Time: you can get up to 28 minutes in the air but this depends on the load on the drone. Is This Idea Really Worth It? 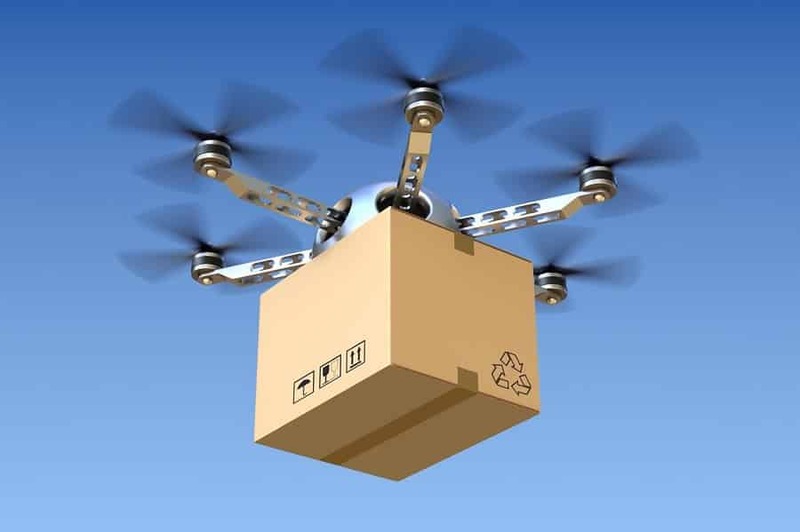 We have to point out that the drone technology is definitely setting some new standards in the business niche in every possible aspect, but is it really worth the money when it comes to the drone delivery business? It is true that by using drones, the delivery companies would drastically cut down the cost of human labor, as well as wait times. However, looking at this idea from an economic point of view, we can notice that drone delivery could be something that is not as worth it as one would imagine. Route density is the number of dropoffs during one delivery run. Drop-size refers to the number of packages per one delivery run. So, in order to make a run profitable, you have to have as many deliveries as possible in the shortest amount of time possible, or the shortest distance. This makes the run profitable. 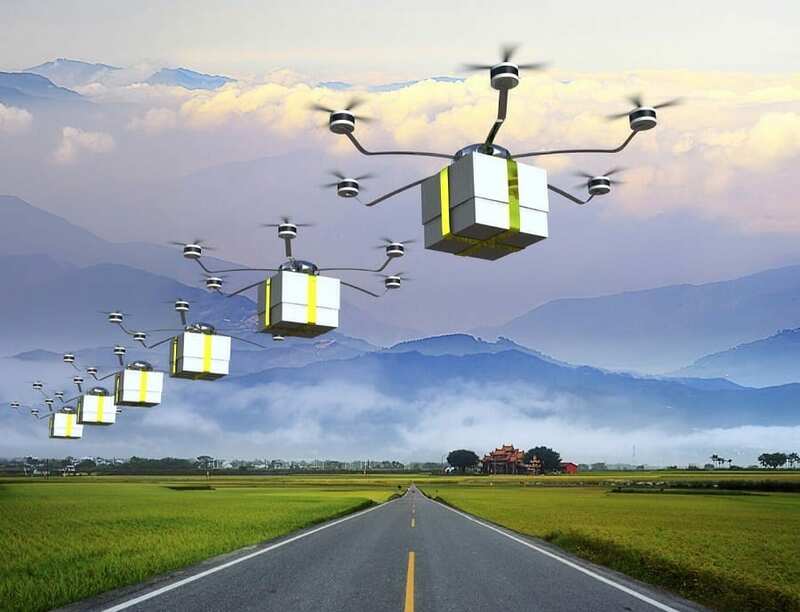 However, the drones are not capable of making many deliveries in one run (at least for now they aren’t), which makes the delivering service having to own a fleet of drones to make an actual profit from their deliveries. The current prototypes that delivery companies plan to use (usually) have the ability to carry just one package. This means that the drone would have to end the run and return to base after every drop-off. If you compare these facts with the fact that the UPS delivery truck makes an average of 130 stops every day, and delivers hundreds or thousands of packages, you will notice that the trucks still have an advantage over the drone. But, the drone technology is still evolving at an unbelievable speed and we are sure that in the following couple of years the drone will offer much better features to support the delivery business. When Will This Become Reality? 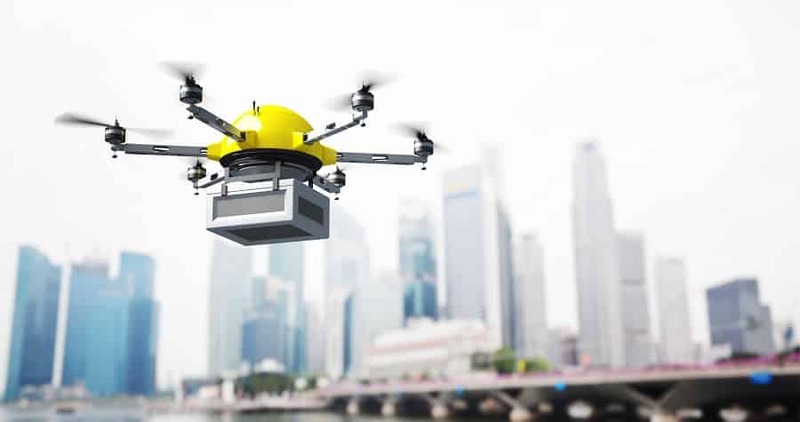 The use of the drone technology for the delivery business is facing the same problems as the self-driving car technology. Companies have presented the technology, but what still is the biggest problem for this to become reality, has a legal and regulatory nature. At the moment, in order for a company to make a profit from drone deliveries, they would have to have deliveries that take less than an hour. The big question is if the people are willing to pay a major premium for such a service? Maybe. The time will tell, but we are pretty sure that we will not have to wait longer than Christmas 2017 or ‘18. In the meantime, if you have any suggestions that would make this topic more interesting, or you would like to ask something, feel free to leave a comment or a question in the comment section below.